For car enthusiasts, the name Henrik Fisker is not new. The famous designer has worked with brands like BMW and Aston Martin. While Henrik did try his hand at making cars in 2013, it didn't quite go well. However, he is back with the new range of EMotion all-electric autonomous car, that debuted at the ongoing 2018 Consumer Electric Show. 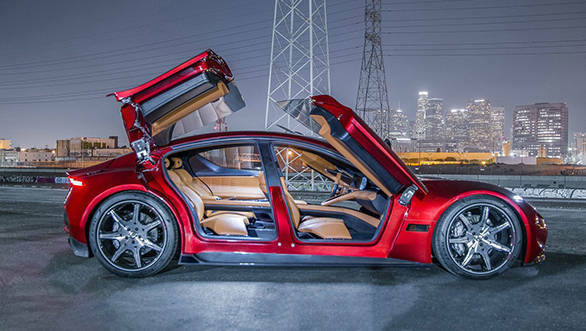 The Fisker EMotion looks super sleek and comes with butterfly doors. Additionally, it will also sport autonomous tech along with a claimed driving range of 650km on a single charge. The Fisker EMotion shown at the CES2018 is at its concept stage as the production version is still two years away. Fisker also assured that the EMotion with its extended driving range will also target new customers who have been skeptical about buying an electric car for its lower range. Unlike many other electric car manufacturers, Fisker has been developing its own battery tech to offer an improved range and also lesser charging time than the regular offerings. The extended range tech will offer an additional 200km and that too with a quick nine minute charging. Interestingly, Henrik also informed that a solid state battery which is under works can achieve a full charge in just 60 seconds. The autonomous tech in Fisker has been developed by California-based technology firm Quanergy. The Fisker Emotion will be priced at $129,000 (Rs 82.25 lakh, excluding tax and duties) and will be a flagship offering. 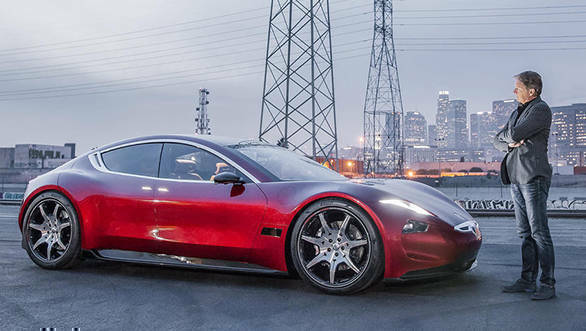 However, the company is also working at bringing a $40,000 car that will be a volumes earner for Fisker. Even for commercial applications, Fisker has made a bus called Orbit that will be a self-driving shuttle bus and will sport electric powertrain as well.